Home / Blog / Designer Inspiration / En Vogue with Shayla Copas / Hollywood Glam ‘Southern Glam’ Style! 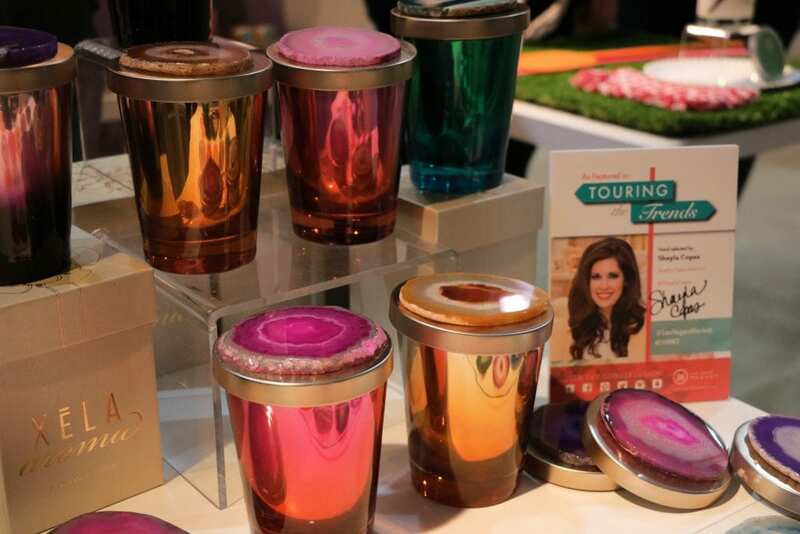 I can’t even begin to describe how gorgeous Xela Aroma’s Ombre collection is! So many colors and so GLAM! They have a ton of amazing scents but my favorite was Grapefruit. Another fab find on our treasure hunt was Modshop! 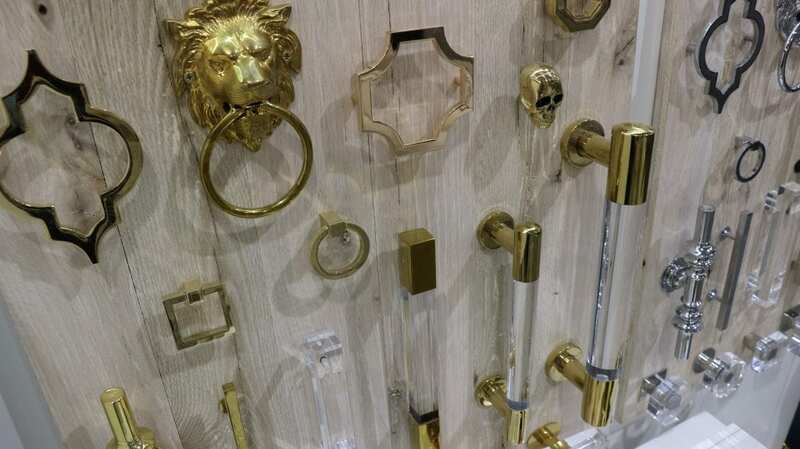 We were enamored by their cabinet hardware and the look of their overall line. I’m impressed that they designed the collection in both brass and silver, making them quite versatile. Their upholstery comes in a ton of velvets and the legs on their pieces are interchangeable. Oh, and get this…you can also spec your own custom finish! Modshop thought of everything when accommodating residential designers and their clients. 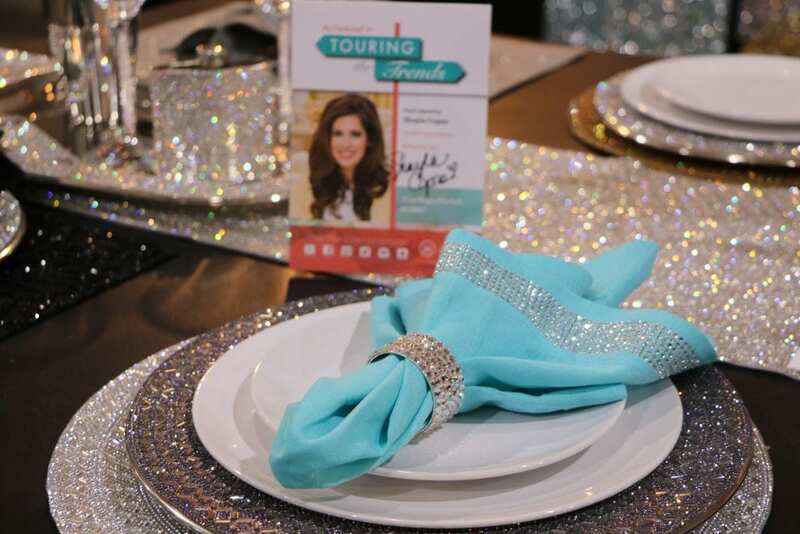 We are currently writing a book on seasonal entertainment design and Sparkle Home’s napkins were over the top! They come in several colors and even have napkin rings to coordinate. I am definitely going to put them on my list for tabletop vendors. Yasss! Can you believe how amazing this black-and-white chair is? 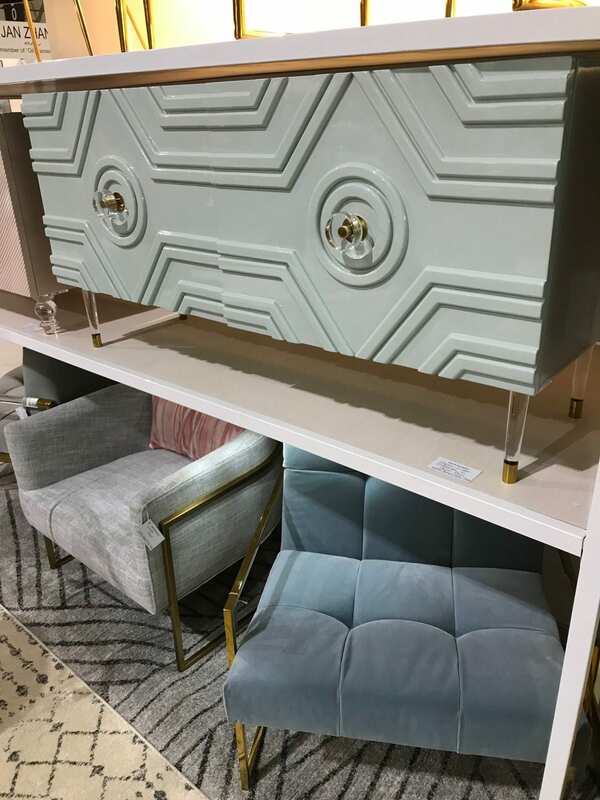 The Currey & Company showroom always feeds our need for Southern Glam, and during Las Vegas market they did not disappoint! Our favorite find was definitely their Garson Chair. We loved its shape, finish and the fabric they selected for the showroom sample. SO FABULOUS! 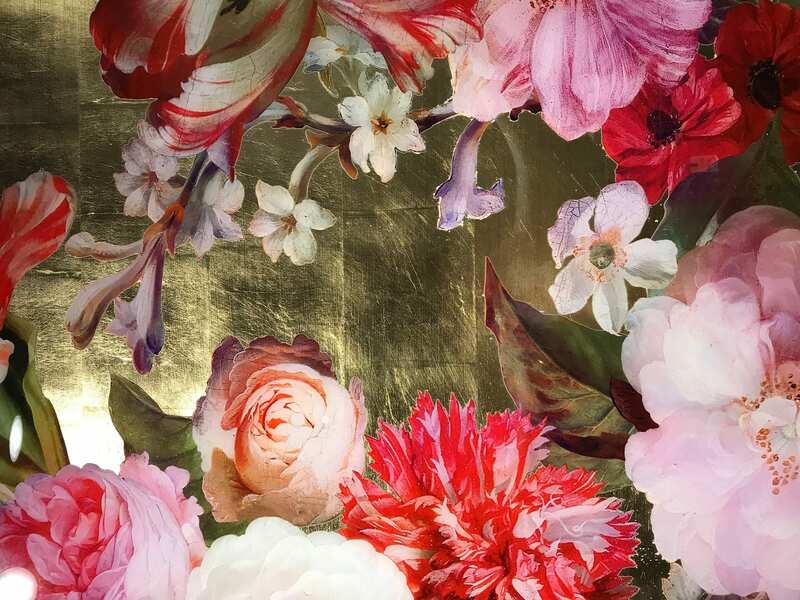 Leftbank’s Dutch Blooms Gold by Jackie Von Tobel is a floral masterpiece. I love the gold metallic paired with the bright floral overlay … it seriously has me dreaming of warmer temps. Floral is going to continue to trend for quite some time so get ready for an explosion of Floral products. It was fun to take you through some of my favorite Southern Glam finds! Happy spring to all. 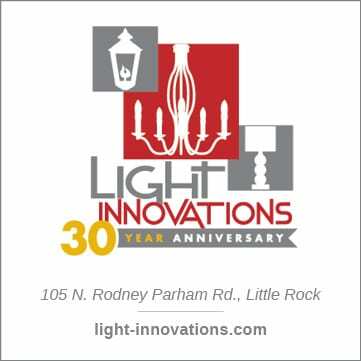 Shayla Copas, owner and principal designer of Shayla Copas Interiors is an award-winning Arkansas designer who has been voted by numerous publications as a favorite designer in the state. 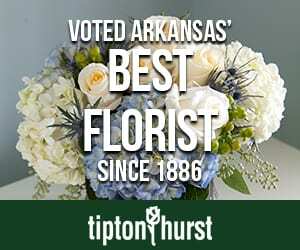 Her work has graced the pages of At Home in Arkansas and other statewide and national publications throughout her 20-year career. 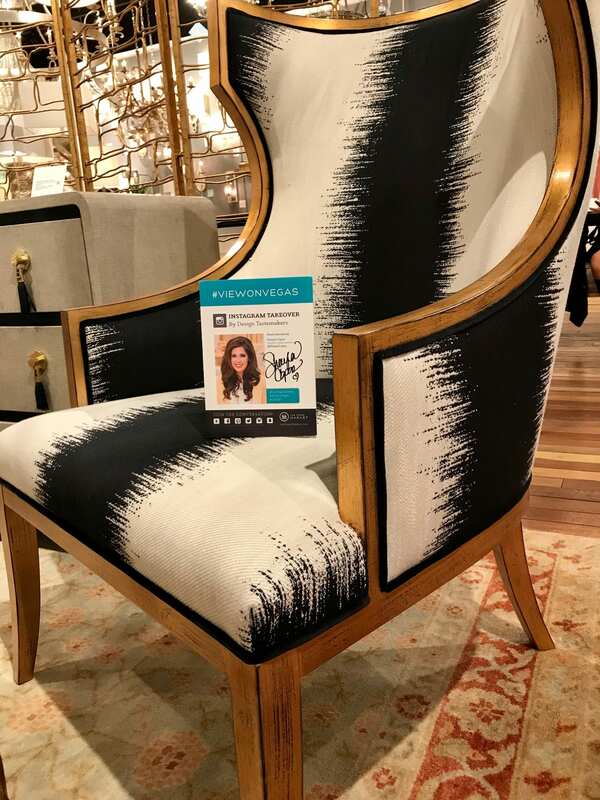 Most recently, her work was featured on the cover of a Christmas interior design book, featuring several top designers across the nation including, Christopher Radko and HGTV personality Joe Ruggiero. Shayla is a member of the Interior Design Society and National Kitchen and Bath Association. Her new blog EN VOGUE with SHAYLA COPAS focuses on trends in home design and entertaining.